More than two years ago, Rob and Andrea Blanton were primed for a change. Rob’s work in the corporate world was spattered with undertones of stress and fatigue. Andrea worked in the school system but knew this arena lacked the luster she sought to brighten their future. With a design to venture into the entrepreneurial scene, they left their jobs and relocated from Christiansburg, Virginia, to Hampton Roads. 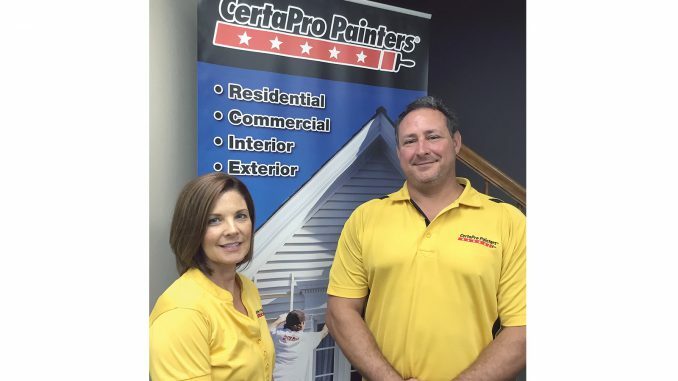 Rob and Andrea are the owners of CertaPro Painters, an independently owned and operated franchise serving the Virginia Peninsula. It is a full service residential and commercial painting company that provides interior and exterior painting. Rob and Andrea appreciate that customers trust them to come into their personal space. Their teams work around clients’ schedules, communicating with them throughout the process, providing daily updates and at the end of the job, taking a “pride walk” so that the customers and the job site supervisor can review the completed work together. This process is part of their Certainty Service System, which is a program that sets them apart from their competitors. Another difference is that they provide a two-year warranty on their work. To further position themselves as the premiere option for residential and commercial painting, they look for ways to provide a “wow factor” for their customers. 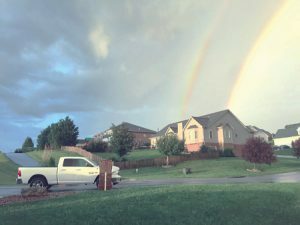 “It’s not unusual for one of our painters to change a customer’s light bulb when he’s up on a ladder where the customer may not be able to reach or clean a ceiling fan or even power wash the customer’s front porch—something to let the customer know that we go the extra mile,” says Andrea. 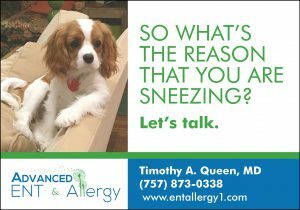 Their attention to detail and response to their customers’ needs continue to receive high accolades. The Blantons recognize and honor the quality and work ethic their team brings to each assignment. 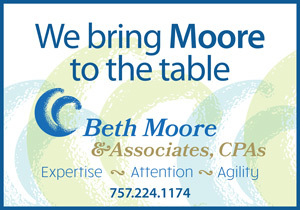 They currently have 20 painters; an office manager, Cyndi Rideout; and a sales representative, Carl Miller. They are planning to hire more professionals for their team. In addition to the time spent working, they try to do a social activity at least once a quarter. Their adventures have included a Tides baseball game and deep-sea fishing. “It’s a little scary leaving a job to open your own business, but if every day you wake up and you don’t want to go to work, you need to make a change,” says Rob. This was the catalyst for their own change. This was the right move for them as they enjoy the work they do, the professionals they employ and the customers they serve. And, from that first white truck, now wrapped with the CertaPro Painters logo, alongside two other trucks similarly branded, Rob and Andrea continue to mix depth, texture and tone to enhance the canvas of their lives and the environments of their customers with continuous strokes of quality painting, professionalism and courtesy. Karen Eure Wilson is a mother, an evangelist, entrepreneur, print journalist, author, speaker and broadcast producer. 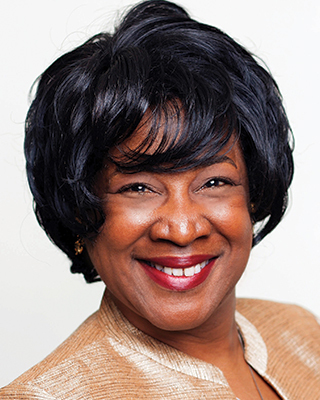 She entered the world of journalism as a mass media major at Hampton University and honed those skills as a public affairs specialist at Fort Eustis and Langley AFB. In this "second season" of her life, she has coined the term "DIP" (deliberate, intentional and protective) as her map for navigating the adventures and opportunities that lie ahead. Karen wrote for the Oyster Pointer for three years, 2010 - 2013, and happily returns to help highlight the great people and programs of Newport News and the surrounding area.